We're getting ready to celebrate the big game, and cheer our Denver Broncos on to a Super Bowl XLVIII victory! 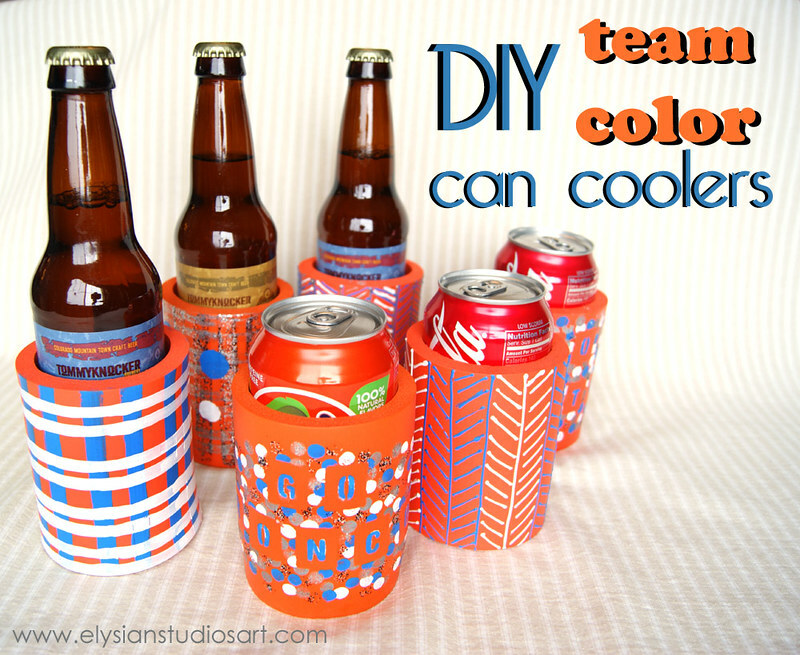 What better way to add to the festivities than with handmade can coolers for the party? 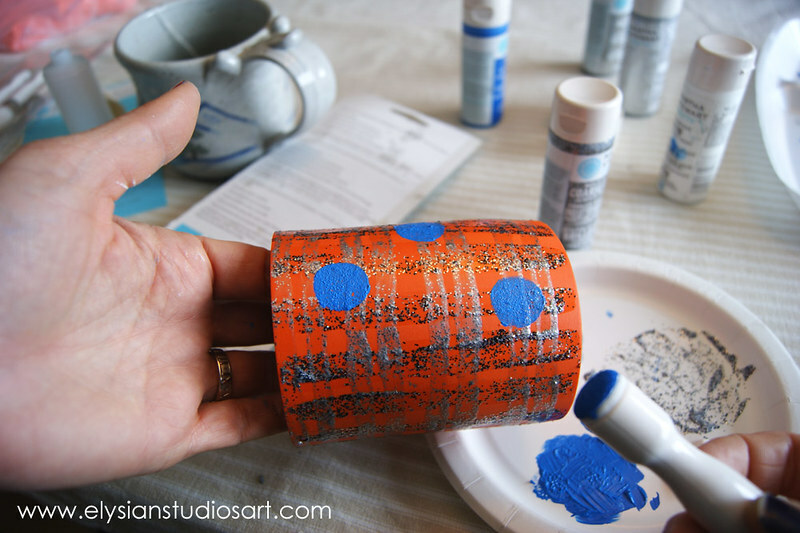 For this easy tutorial, I have used all Martha Stewart craft paints and tools, which are readily available at Michael's Arts and Crafts Stores. These were provided to me by Plaid paints for a campaign I worked on in 2012. You can see that post here. All of the opinions expressed about the products are completely my own. I made three different styles of coolers, two in each style. The foam coolers are available at any craft store. I made each cooler unique by switching up the colors a bit, so each party guest can easily identify their beverage. 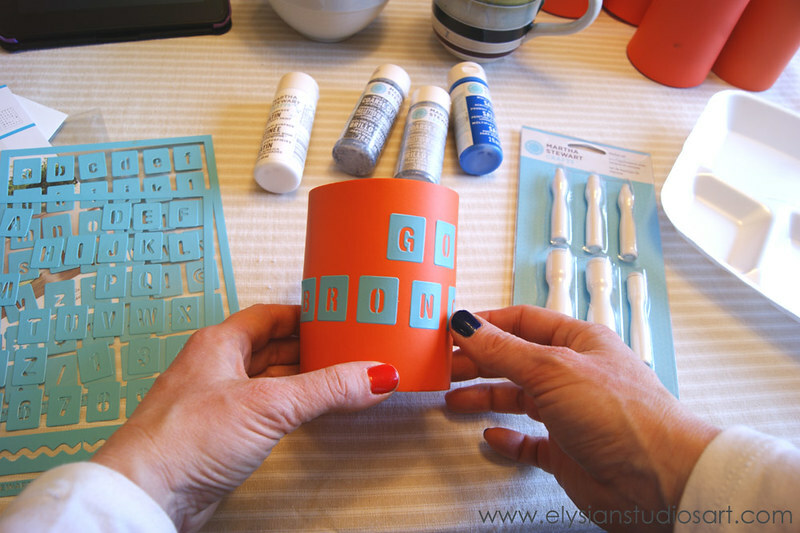 For the first style, which you can see in the front center of the title photograph, I used Martha Stewart's Adhesive Stencils, the Foam Dauber Set, Satin Craft Paint in blue, white and two colors of the Coarse Glitter Paint. I found lots of inspiration for patterns on Pinterest. You can follow my Pinterest boards here. Place the letters on the cooler to spell out your saying. I really like these stencils because they give your project unique, uniform lettering and can be reused. I was short on the "O" for my saying, so I was able to easy move that letter around during painting. 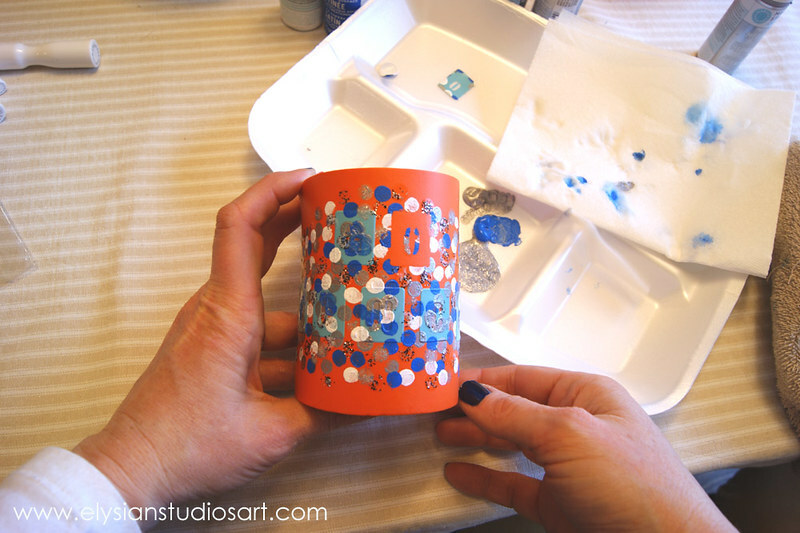 Pour the paint colors onto a disposable plate and use the small size dot of the dauber set to begin painting dots all around the stencils. 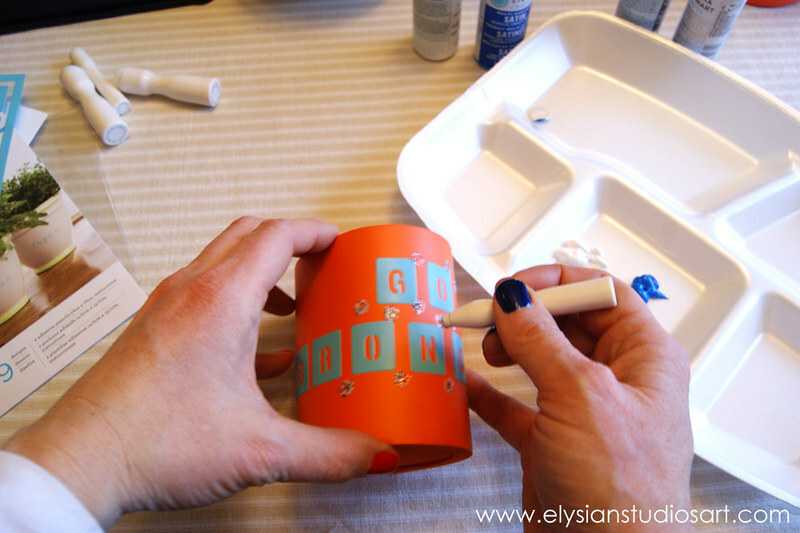 Once you have dotted all of the colors around, peel off the stencils. Rinse them in water to clean and place back on their plastic film from the package. I thought I wanted the letters to be multi-colored, but you really couldn't read them, so I ended up re-painting the letters in solid blue. 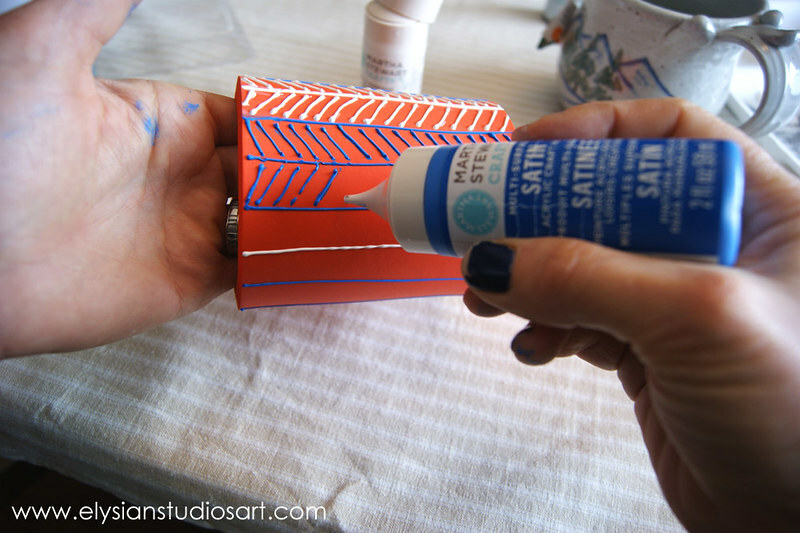 Don't let the paint get too dry before you lift off the stencil or the paint will come off with the stencil. For the second style, I used the same paints, but tried out the Martha Stewart Patterned Brush Set. These coolers are on the left side of the title photo. I have mixed feelings about this brush set, and I'd love to hear from other crafters who may have used it. It looks fun and full of promise, but I found the results to be underwhelming. 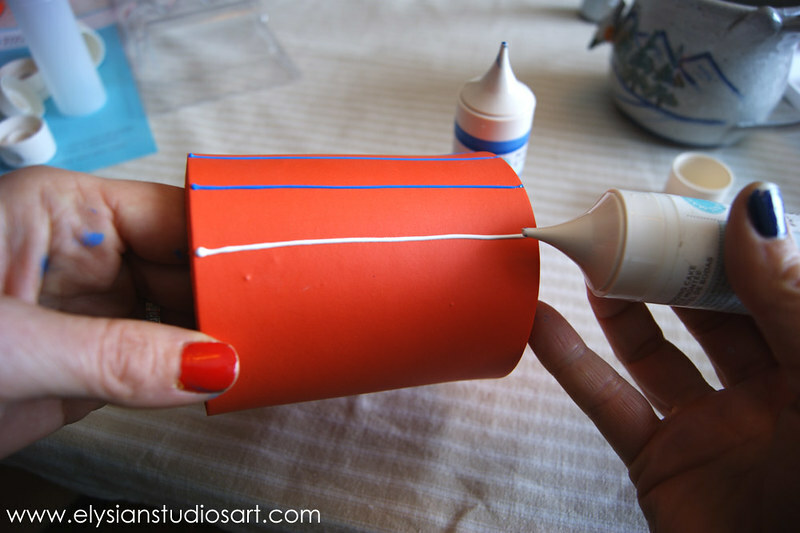 Using the brushes saves a bit of time because you get two or three lines per stroke. However, I found them hard to load paint onto the bristles, and they really didn't give any more consistent lines or spacing than a single brush. In the end, I do like the bold, simple plaid pattern of this cooler. 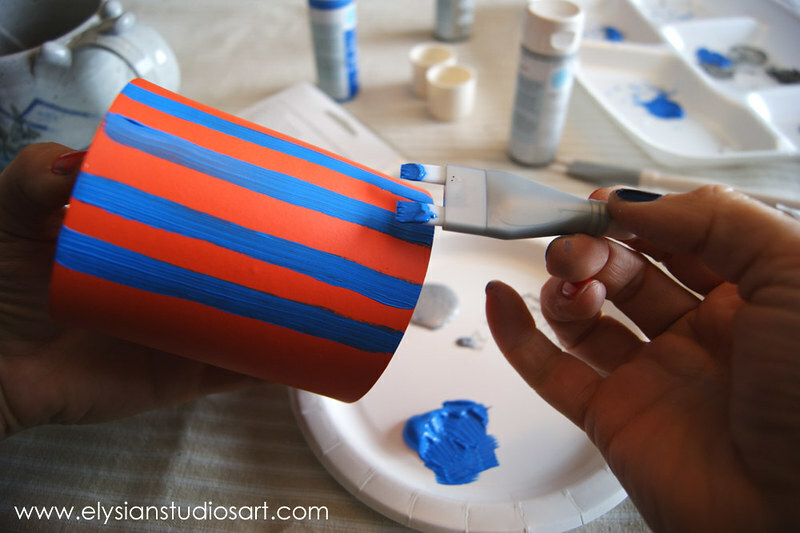 Using the largest two-stripe brush, first paint vertical stripes of blue and allow to dry. 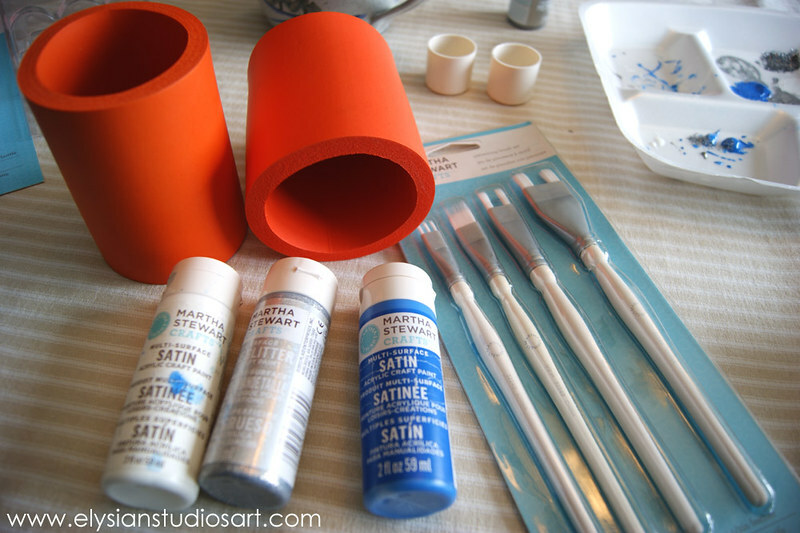 I really like the Martha Stewart Satin Craft Paints, because they come in a beautiful array of colors, give nice even coverage, and dry pretty quickly. Since I had to quickly paint over my first layer for this pattern, however, I used a hair dryer to speed along the drying process! 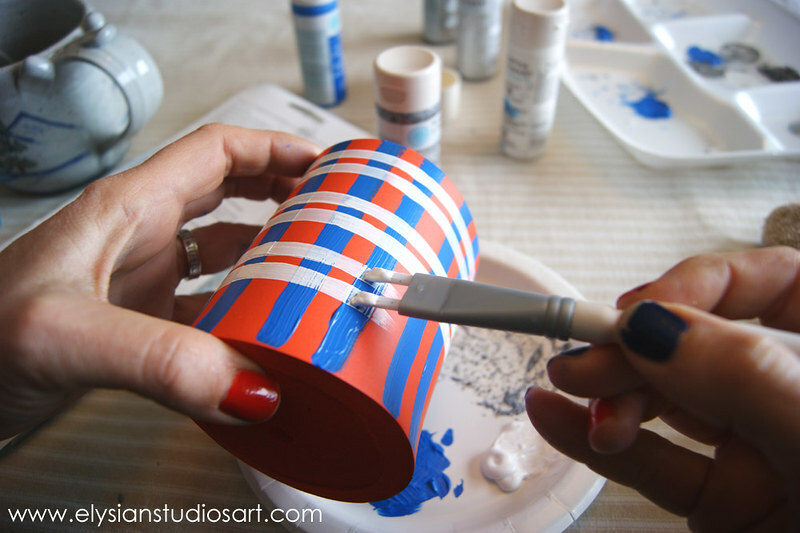 Next use the smaller two-stripe brush to paint horizontal stripes in white all around the cooler. I also used the same method to paint a second cooler, but used the two glitter paints instead. 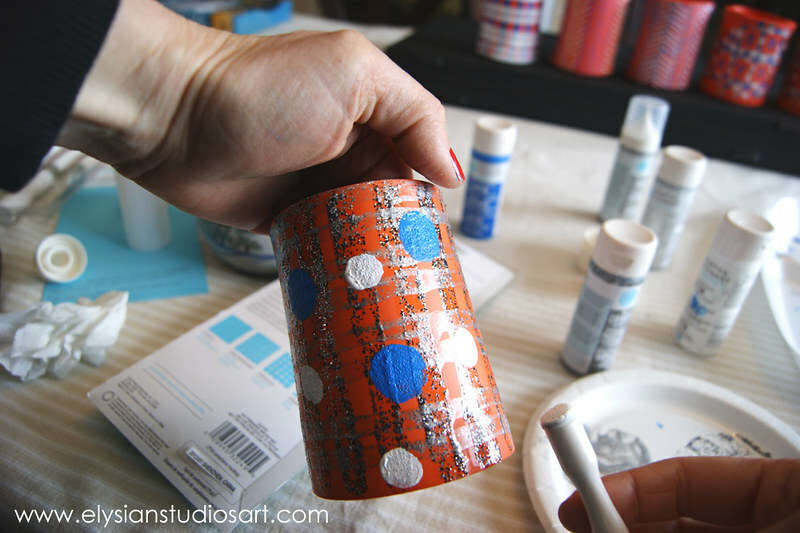 Though I really love the sparkle of glitter, I had uneven results with the Martha Stewart Coarse Glitter Paint. The glitter is actually suspended in a clear binder, which is great because that prevents it from easily flaking off. However, the paint doesn't apply easily and smoothly, as you can see in the image above. 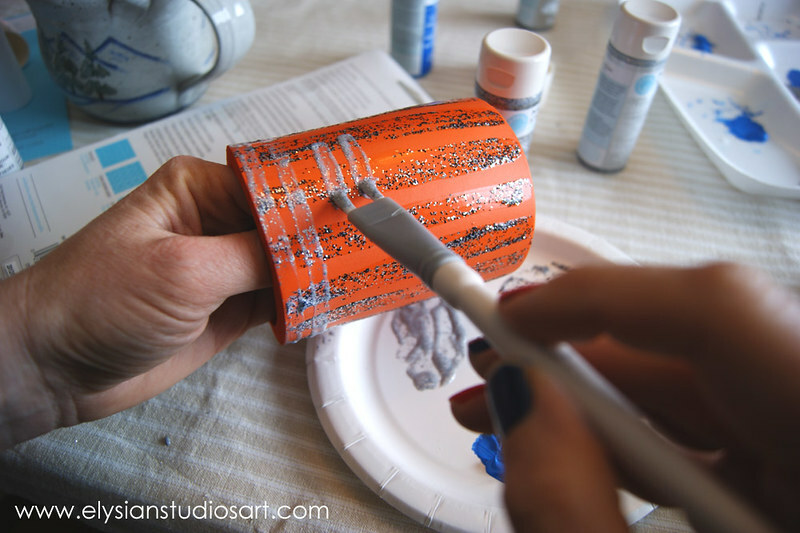 The paint kind of smooshes to the sides and the glitter is unevenly distributed. I found that with multiple coats I was able to achieve the results I was after. For fun, I decided to add some blue dots with the largest dot size in the dauber set. 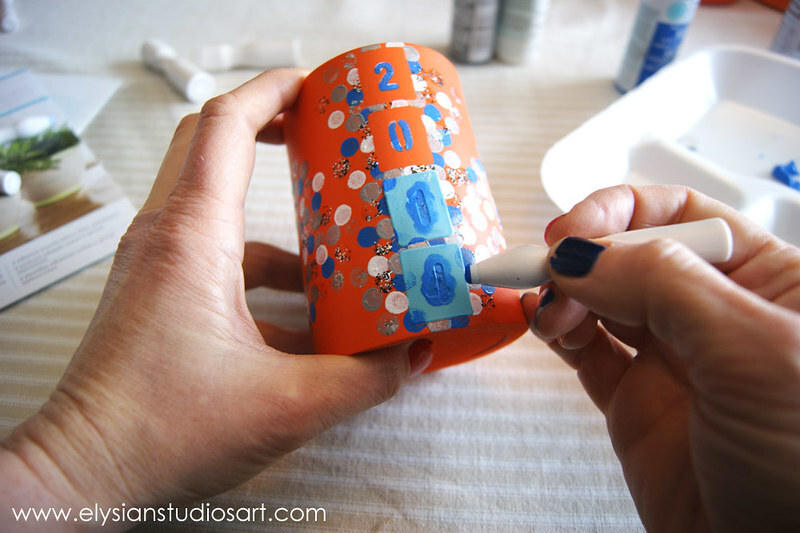 To finish this cooler, I added white dots in the medium size dauber from the set. I really love how easily I can get consistent dots in different sizes with this set! For the last style, I simply used the Satin Craft Paint and the Fine Tip Writer Nozzle Set. 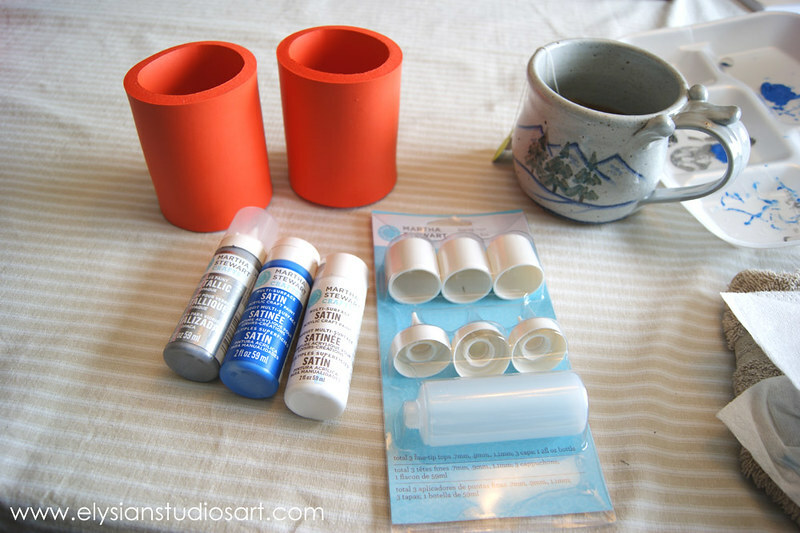 This set lets you simply twist on a fine tipped nozzle to any of the Martha Stewart Craft Paints. 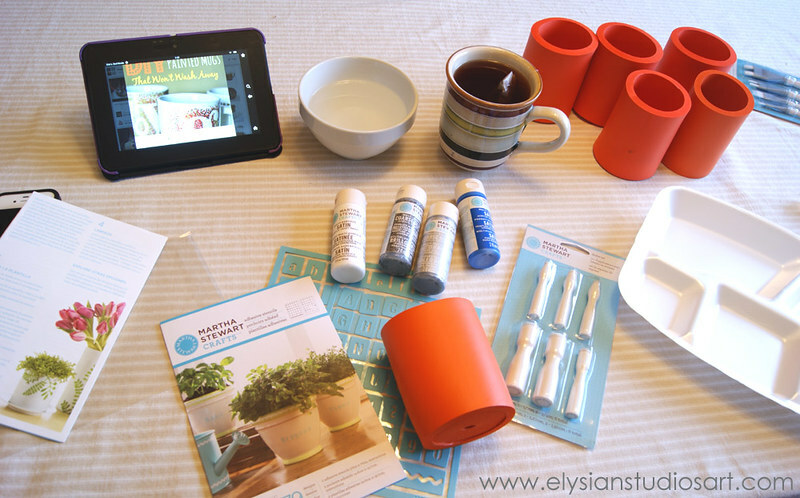 The paint bottle on the left is a Metallic Glass Paint, which already comes with a fine-tipped nozzle. 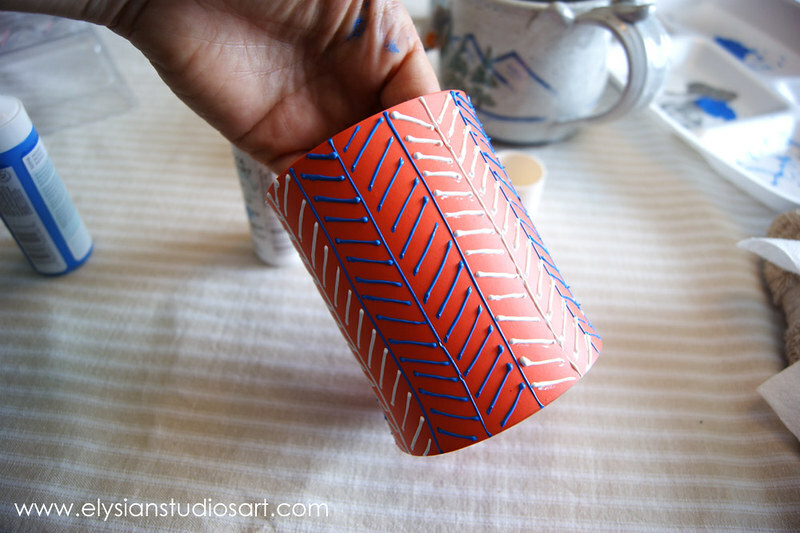 I love how these tips allow you to quickly and easily create fine lines with any of the craft paints. This finished cooler can be seen on the right side of the title photograph. For this pattern, make three vertical lines in blue, about 1/2 inch apart, and then one vertical line in white, about 1/2 inch from the last blue line. Continue with this pattern around the cooler. After you have completed the initial lines of the pattern, draw multiple diagonal lines within the borders of the vertical lines. Alternate their directions so they form a chevron pattern. Alternate two rows of blue lines and two rows of white lines. I am posting this shortly before the big game, but it really is a great craft to show team spirit for any sports team during any season! We're filling up our coolers with sodas and Colorado microbrew beers, like these from Tommyknocker Brewery in nearby Idaho Springs for our Super Bowl party, and we'll use them for many more seasons to come!